When you need to do some real work in tight, confined spaces, these small chassis 4WD compact tractors, deliver a surprising amount of performance with less noise, vibration and emissions with technologically advanced engines. Compared to other tractors of similar size and horsepower, the X J-series has superior loader lift capacity and 3-point hitch lift capacity, meaning you can carry heavier loads in order to work more efficiently and quickly. Typically used on 5 acres or less, on small horse farms and for commercial users needing to get through smaller gates, the XJ-Series offers excellent maneuverability and agility in tight spaces. It matches nicely with a 5’ finishing mower, 4’ rotary cutter or other 4’ ground engaging implements such as tillers and box blades. Also available for these tractors is a 6’ backhoe that’s compact in size yet delivers incredible performance. 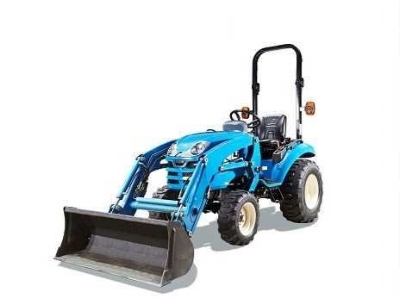 The XJ-Series is perfect for gardening, landscaping, cleaning horse stalls, lot clearing, clearing driveways of snow and trenching utility lines. As with all LS Tractors, the XJ-Series comes with our signature “Get More” features at no additional cost. Other brands charge extra for options that are standard features on XJ-Series models. To see the long list of our standard features, see our XJ-Series model pages. Then compare to the other brands and you’ll see why choosing an LS Tractor will give you the satisfaction of knowing you made a smart decision. Questions or comments? Let me know!